At about 2 a.m. on Feb. 23, Brandon Richard O’Connor allegedly stabbed the victim near the intersection of 6th Street and Santa Ysabel Avenue in Los Osos. Following the stabbing, the victim parked his car and walked to a home in the 1200 block of 2nd Street. 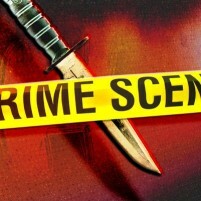 Deputies arrived at the home and found the man suffering from the stab wound. Medical personnel transported the victim to the hospital, where he received treatment and was later released. On Monday, sheriff’s officials announced they had completed their investigation into the stabbing and identified the suspect as O’Connor. Sheriff’s officials are forwarding the case to the county district attorney’s office and recommending prosecutors charge O’Connor with assault with a deadly weapon. Police don’t provide a Photo? A description? Nope, Just letting us know that a suspected knife wielding local is on the loose. Have a nice day.